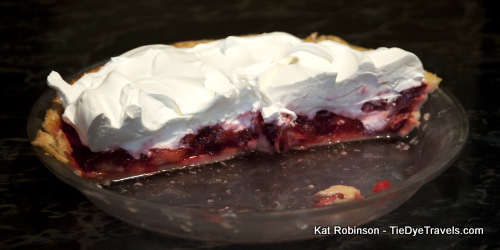 An ode to the first crop of full-on spring in The Natural State, where to pick them and where to eat them in the wonderful concoction of strawberry shortcake. 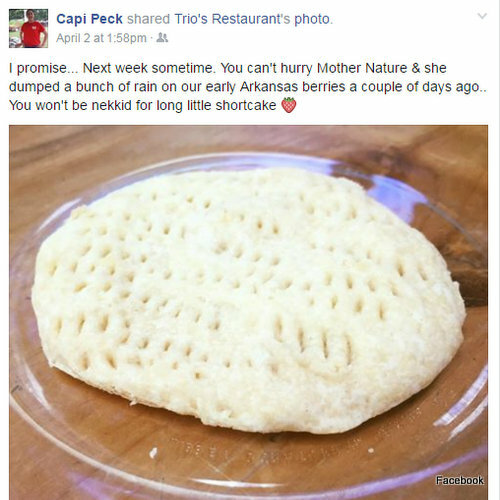 I've been watching Capi Peck's Facebook page with anticipation. Normally, this scouting and online stalking would happen near the end of April, but she caught my eye with this post a few days ago. Well hot biscuit, strawberries are coming. 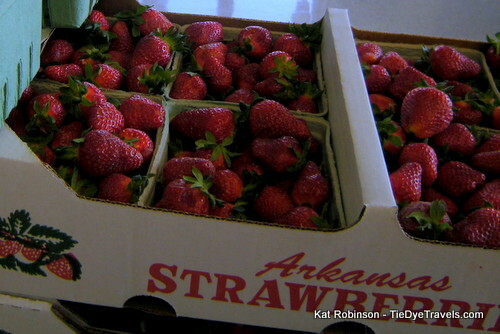 We love strawberries in Arkansas, so much that we've even named a town and a river after them. Cabot celebrates the lovely red berries every year with a festival. 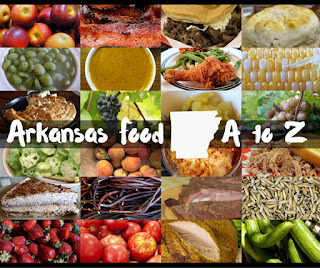 Grown in our state by home farmers since at least the 19th century, Arkansas in the 1920s had a growing industry in producing strawberries to be shipped out of state. Railroads made it possible to ship these berries here and there. But anyone who has ever raised strawberries will tell you, they can be temperamental with the weather and they don't last long. 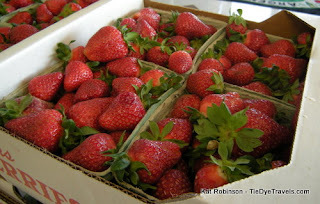 Today, most Arkansas strawberries are enjoyed right here in our state during the average six week long season. 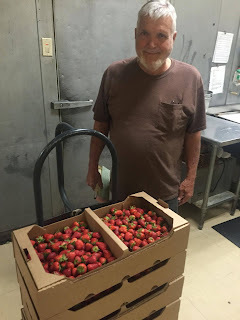 I sent a message to Capi yesterday to ask about strawberries, and she quickly responded that her first shipment had come in. 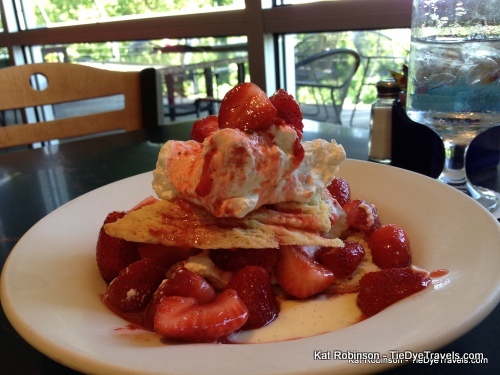 She mentioned that Mother's Day is when strawberries usually first arrive, and that this will be the earliest strawberry shortcake has ever appeared on the menu at Trio's Restaurant. Indeed, a few hours later I saw this. Soon the strawberries will spread forth. Holland Bottom Farm in Cabot is already picking, but you'll have to call ahead. The first berries are almost always spoken for and swooped up quickly. Capi also mentioned that the berry crop could have been even earlier this year, had it not been for that deluge last week. Berries don't like the cold or the wet, and when five inches of water comes along they rot or float away. 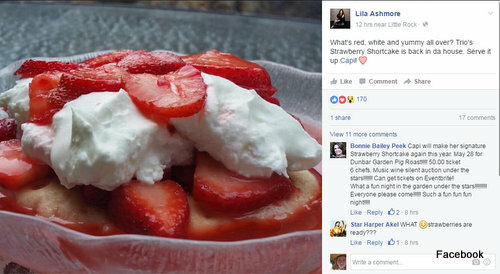 Within the next few weeks, we'll start seeing the best strawberry shortcakes in the land again, prepared each in their own separate way. 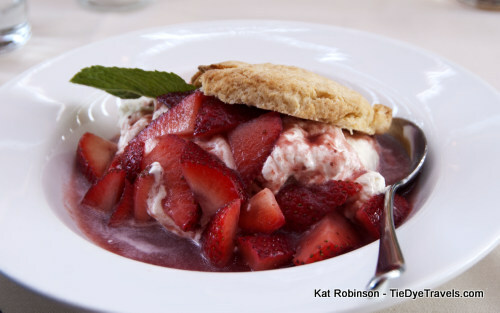 Trio's shortcake is actual shortcake, but over at Brave New Restaurant, Peter Brave constructs his on a biscuit in an old-fashioned Southern way. 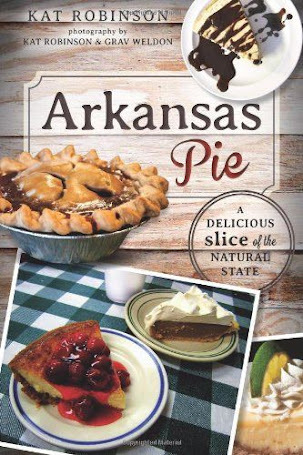 A few weeks from now, it'll spring up in the northern part of the state, too, like the biscuit version you can enjoy at Eleven at Crystal Bridges Museum of American Art in Bentonville. 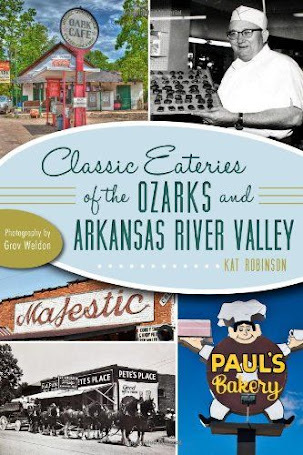 And any time now, I'm expecting to hear back about the cookie-style shortbreads and their most famed construction, within the strawberry shortcake at the Bulldog Restaurant in Bald Knob. In many ways, the strawberry is Arkansas's true barometer of spring. While seeing a snowfall after March 1st is hit or miss around these parts, once strawberries arrive it's time to plan summer vacations, acquire sunscreen and look forward to the end of the school year. 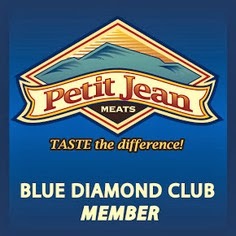 More than that, it's our celebration of fresh foods. While a few things such as collard greens can be found fresh through the winter, strawberries are the first eating-ready things to come from our gardens each year. 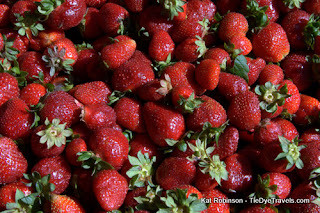 Unlike blackberries and their vines, strawberries are simple, unthreatening, fragile. And yet they make a heck of an impact. 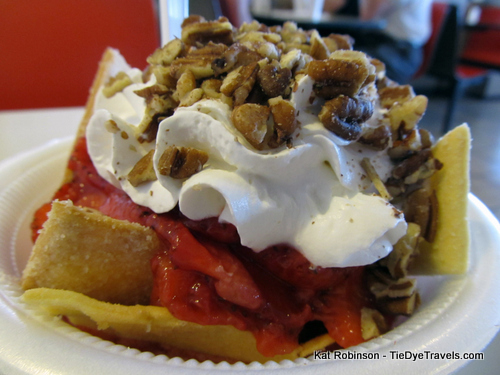 I'll enjoy it on waffles at Mom and Pop's Waffles in Morrilton. 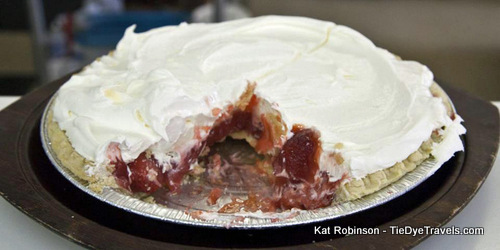 And I'm ready for strawberry pie, like the sort you get at Picken's Commissary near Dumas. I suspect I'll pick up a slice next time I pass through Pindall, from the Dry Creek Mercantile. Wherever I go, I suspect I'll find so many good strawberry items these next few weeks. 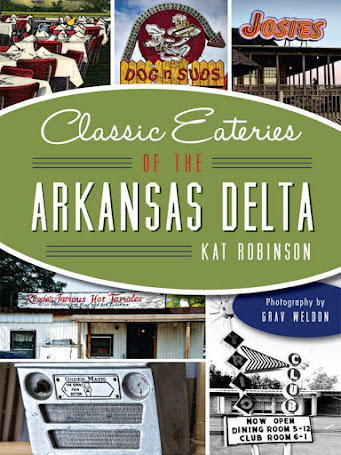 It's the flavor that says "come out and play," and it's part of what we've become used to here in Arkansas. 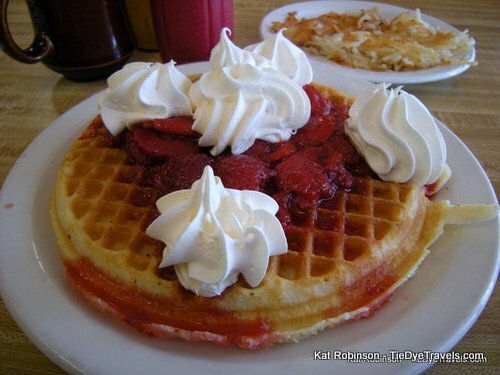 If loving strawberries is wrong, I don't want to be right. 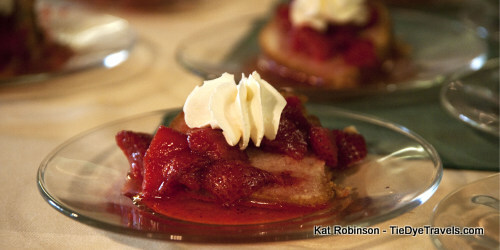 Learn how to grow your own strawberries with this helpful information from the University of Arkansas Cooperative Extension Service, and make your own shortcake with Capi Peck's recipe at Little Rock Soiree.